The highly anticipated launch of the COVERGIRL TIMES SQUARE flagship store is just around the corner; it will officially open its doors on Black Friday, November 23. The brand’s first permanent retail store will serve as a physical embodiment of the COVERGIRL “I Am What I Make Up” brand philosophy, where consumers can immerse themselves in an experiential beauty playground centrally located in the epicenter of New York City - 7th Avenue and West 49th Street. Store hours are 10 am – Midnight daily. The sleek, two-level store is designed for the ultimate shared beauty experience. Minimalist black and white décor with pops of vibrant color are the backdrop to a deeply digital interior where shoppers can for the first time try-on, experiment and express with their favorite COVERGIRL products. for building natural and rich AI-powered conversations, Olivia can direct you to your favorite product, share beauty trend advice or answer a question. Just ask! 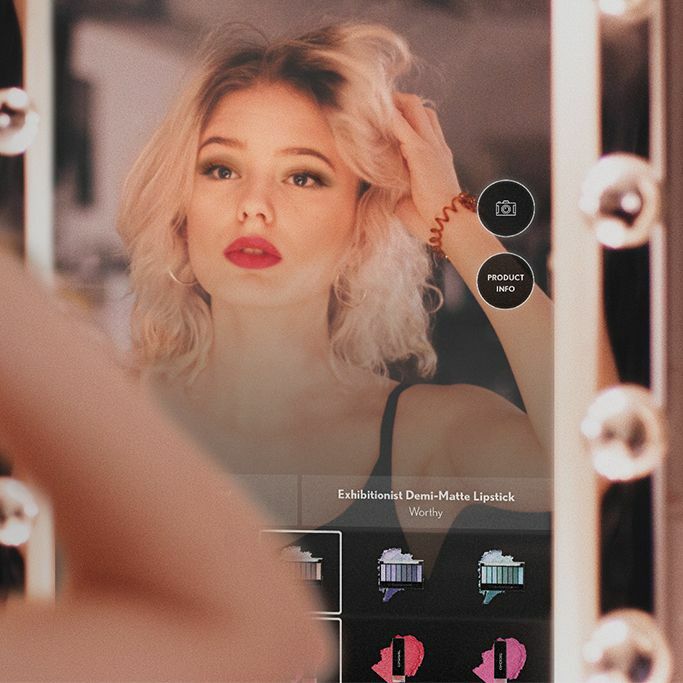 Augmented reality glam stations, powered by Holition, where you can virtually try a lipstick and eyeshadow just by picking up your color choice in the tray. Complete the look with coordinating blushes, mascaras and foundation – and digitally share your virtual makeover for friends to see. Customization station, where you can personalize a lipstick and/or makeup bag. Makeup application provided by a team of knowledgeable COVERGIRL BFFs, also on hand to give out tips, tricks and product recommendations. All facets of the store’s design allow for the freedom of makeup expression: trying on is encouraged, testing out is expected, ideas are celebrated and shared. Every corner of the store is social media ready, providing the ultimate selfie-backdrops at each turn and allowing shoppers to easily share their shopping moments, product picks and COVERGIRL looks. The store is another big ‘first’ for COVERGIRL in 2018. Earlier this year, COVERGIRL was the first mass makeup brand to launch a foundation, TruBlend Matte Made, with 40 shades at once; and it became the largest makeup brand to become Leaping Bunny certified by Cruelty Free International. COVERGIRL is a cosmetics category leader and innovator that celebrates authenticity, diversity and self-expression through makeup. The brand’s “I Am What I Make Up” philosophy aims to inspire people to embrace their unique identities and unapologetically create any version of themselves. COVERGIRL is the biggest makeup brand to be Leaping Bunny certified cruelty free. A beauty industry icon, COVERGIRL has been empowering makeup lovers to express their unique beauty for more than 60 years. COVERGIRL is part of Coty Inc., one of the world’s largest beauty companies with approximately $9 billion in revenue, with a purpose to celebrate and liberate the diversity of your beauty. For more info, go to Covergirl.com or check out @covergirl on Instagram.